Australia vice-captain David Warner's warning that England should expect "war" next month was "pathetic", says 2005 Ashes winner Marcus Trescothick. Batsman Warner, 30, said he will try to make himself "hate" England's players for extra motivation. Trescothick, who made 76 Test appearances, says the tourists will take no notice of Warner's claims. "I don't think they will get that involved. To come out with those sort of comments is not needed," he said. "There's always the hype that comes around before the Ashes, so I don't think it's something the players will be drawn into. "I think it will just be a good distraction, hopefully, for Australia and they can get caught up in the war of words. Warner has often courted controversy during Ashes series, famously punching England batsman Joe Root in a Birmingham bar in 2013. Later that year in the return series, he claimed England had "scared eyes" during the first Test at the Gabba, comments which the tourists' captain at the time, Alastair Cook, described as "disrespectful". Australia won that series 5-0, as they did in 2006 when Trescothick withdrew because of a stress-related illness. The 41-year-old was reluctant to predict a result for next month's Ashes series, which starts in Brisbane on 23 November, but believes England have some issues they need to resolve. 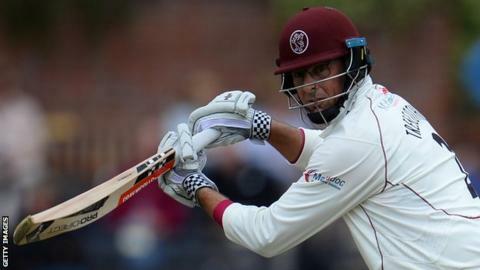 "We're a little bit unsettled as a team, obviously with the [Ben] Stokes affair going on, and there's a few issues in the batting line-up which they need to get sorted," Trescothick told BBC Sport. "The combination of being that little bit not quite ready in what their team selection makes it quite tricky going into that environment because it's quite harsh, it's quite tough. "As a country they [Australia] really go for you so I think we might find it quite tricky."